Sri Lakshminarasimha Swamy temple situated on Singarakonda hill was constructed in the 14th century during the regime of King Devarayalu. 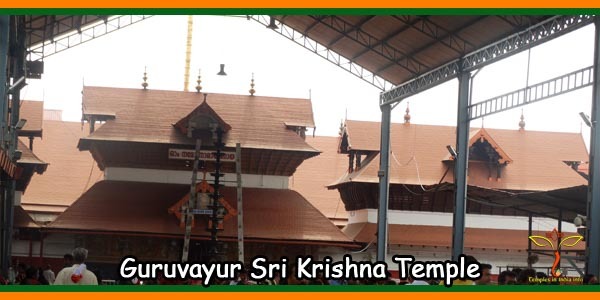 As per the Sila Sashan written on the Garuda Stambham, this temple was built during 1443-44. 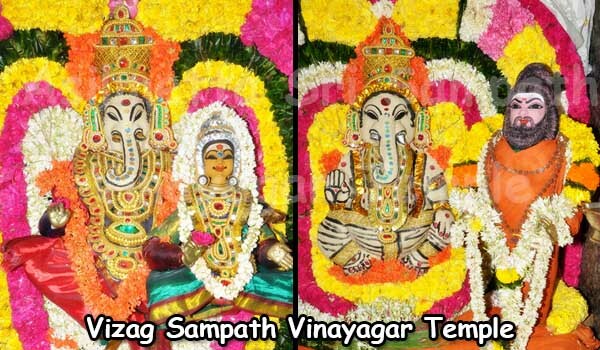 Following are the historical beliefs behind the temple. 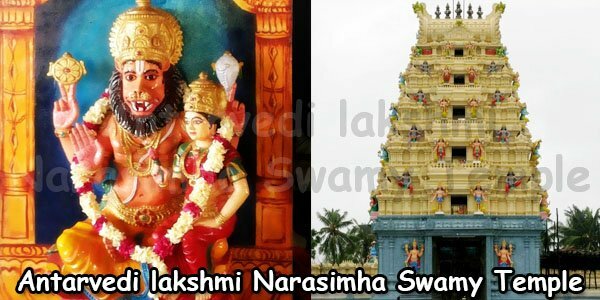 During the 14th century, there was a devotee of Lakshmi Narasimha Swamy named Singanna who lived in a village near the hill. His daughter Narsamma used to take their cows to the hill for grazing. They noticed that one of their cows was not giving milk for many days. Anxious to find the reason, Singanna secretly followed the cow. When the cow went near a rock cave on the hill, a boy appeared out of the cave and sucked milk from the cow’s udder and disappeared. Singanna understood that the boy was none other than his beloved God Sri Lakshminarasimha Swamy. 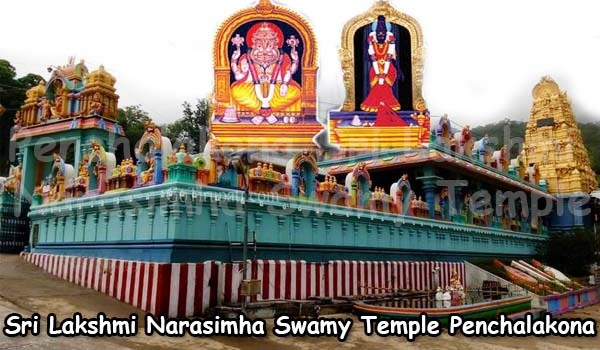 With this firm belief, Singanna built the Sri Lakshminarasimha Swamy temple on the hill. Later on people called the hill as Singarakonda. 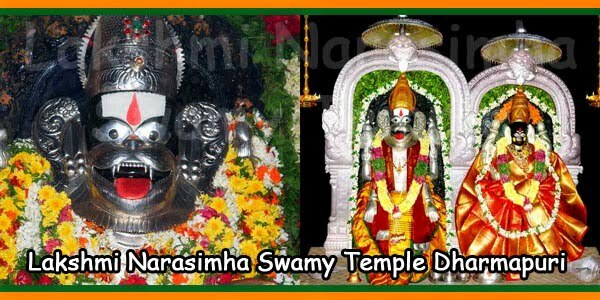 By the end of 17th century, there was the Dwaja Stambham inaugural ceremony in the premises of Sri Lakshminarasimha Swamy temple. Duing that occasion, thousands of devotees witnessed a strange incident. They saw a Yogi installing Sri Prasannanjaneya Swamy idol at Bhavanasi tank below the Singarakonda hill and he suddenly disappeared. Then the devotees started worshipping Sri Prasannanjaneya Swamy at Singarakonda. There is also another belief that Sri Hanuman stayed for a day at Singarakonda on his way to Sri Lanka in search Sita Devi. 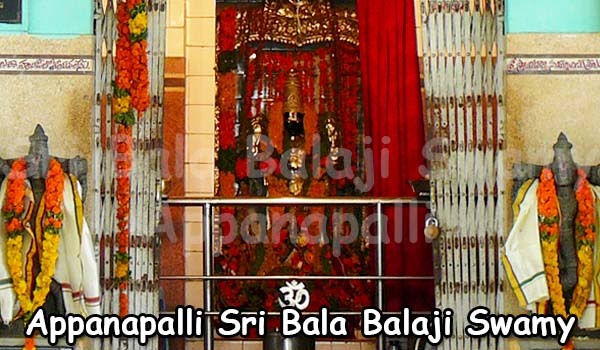 It is believed to be the reason why Sri Prasannanjaneya Swamy idol is facing south, which is a very rare occurrence. 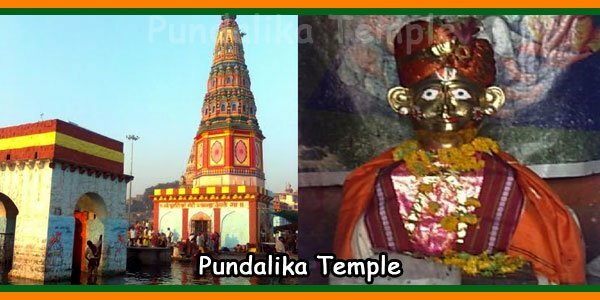 Vastu Pandits are of the opinion that this Pilgrimage center has a very good Vastu because it has a big Bhavanasi tank with full of water in the North-East and the Singarakonda hill in the South-West. 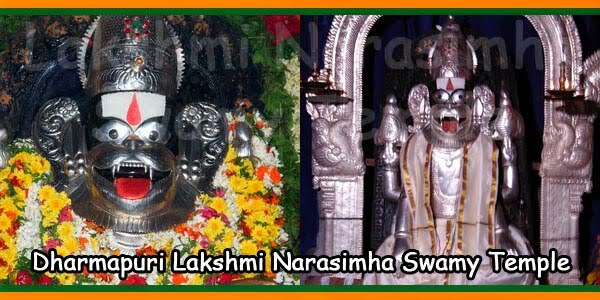 Above all, Sri Lakshminarasimha Swamy is the kshetra Palaka, which is of great significance for this temple. There are buses from the major cities, Hyderabad, Karimnagar, Jagtial, Vemulawada, and Mancherial to the place. Interstate buses from Nagapur, Bombay, Bhivandi and Nanded also take you to the town. The Mancherial railway station is also nearby. So one can also travel by train to reach here. Mancherial is the nearest railway station from Dharmapuri at a distance of kms. 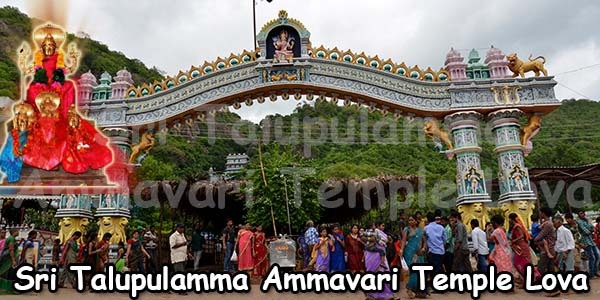 Many guest houses and hotels with reasonable costs are available near the temple.